In January, U.S. Secretary of Commerce Penny Pritzker determined there are commercial fishery failures for nine salmon and crab fisheries in Alaska, California, and Washington. The Commerce Department found that, in recent years, all nine fisheries experienced sudden and unexpected large decreases in fish stock biomass or loss of access due to unusual ocean and climate conditions. 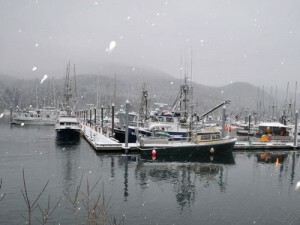 Under the Interjurisdictional Fisheries Act and the Magnuson-Stevens Fishery Conservation and Management Act, the Commerce Secretary can determine a commercial fishery failure due to a fishery resource disaster, which then provides a basis for Congress to appropriate disaster relief funding to provide economic assistance to affected fishing communities, including salmon and crab fishermen, affected by the disaster.